January is a great time to celebrate the Danish concept of Hygge (pronounced ‘hoo-gah’). There’s no equivalent English word to describe Hygge but think of it as a sort of inner warmth and contentment that comes from taking pleasure in ordinary, everyday things. Taking a walk on a lovely day. Snuggling up on the sofa with a blanket and a favourite movie. Enjoying a night out with friends. Doing things that make you smile. The story goes that the Danes invented Hygge to help them survive the cold, long, dark Scandinavian winters. By creating simple rituals, such as brewing a cup of real leaf tea and drinking it from a china cup or treating yourself to some fresh flowers every week, we can boost our serotonin levels and lead happier and less stressful lives. We think The Tranquil Otter is the perfect place to experience Hygge. Our cosy lodges have their own wood burners, smart TVs that are already tuned into Netflix and a boat so you can get out on the lake and experience the wildlife. You can walk through the woods, watch the birds from a hide or simply relax in your own hot tub. And because buy clonazepam we’re close to the Lake District, you can enjoy romantic picnics, and peaceful bike rides among some the country’s most beautiful scenery. 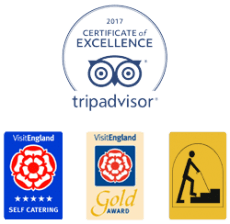 If you’re a foodie, enjoy some the county’s finest produce in your lodge or explore the many award-winning restaurants and cafés. · Make a reading list of books you’ve been planning to read for ages but haven’t got round to yet. · Take an afternoon to cook something delicious for yourself, or for your friends/family. Try Mulholland Butchers for great quality locally sourced meats. · Start a new tradition with friends. Arrange a movie night or a board-game evening. · Connect with nature. We become so engulfed in devices and technology that we forget about the world beyond the screen. Take a walk around the woods or the Solway, or go for a picnic. · Create a new ritual. Make the perfect cup of coffee each morning, or take the time to eat a proper lunch each day. Make it something you can linger over. Whatever you choose, adding a few Hygge elements into your life will add to your wellbeing. If you want a Hygge inspired break at The Tranquil Otter, we’ll do our best to make your stay cosy and inspiring.